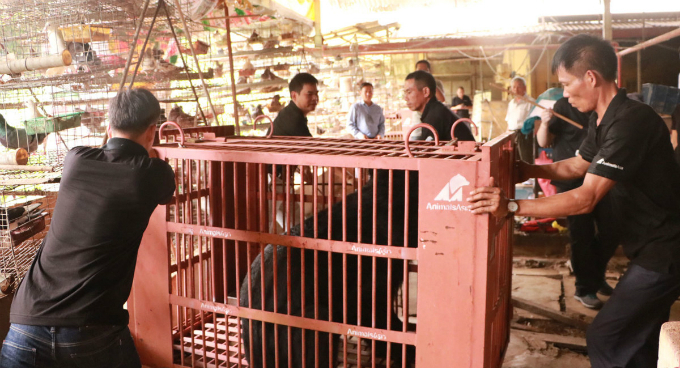 Animal welfare charity organization Animals Asia has released five moon bears held captive in cages for two decades at a farm in the Mekong Delta. Doctors provide honey for bears so that they can reduce stress. 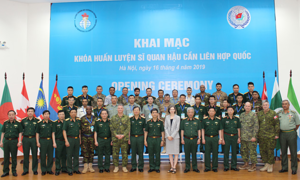 The operation in My Tho town in Tien Giang Province came after the farmer who had held them said yes to the Hong Kong-based organization. 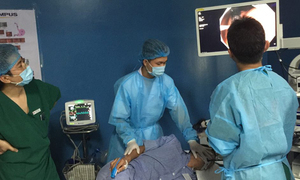 A group of volunteers and doctors spent six hours freeing Kim, LeBon, Star, Mai, and Mekong. 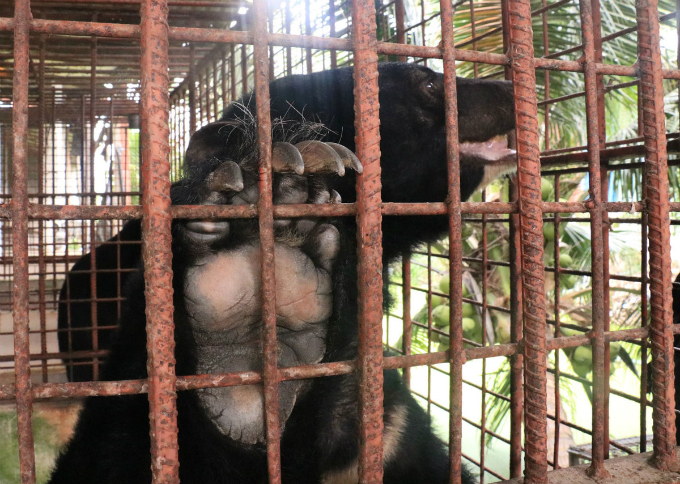 Kim, one of the five rescued moon bears, is held in an iron cage before activitists came to rescue. 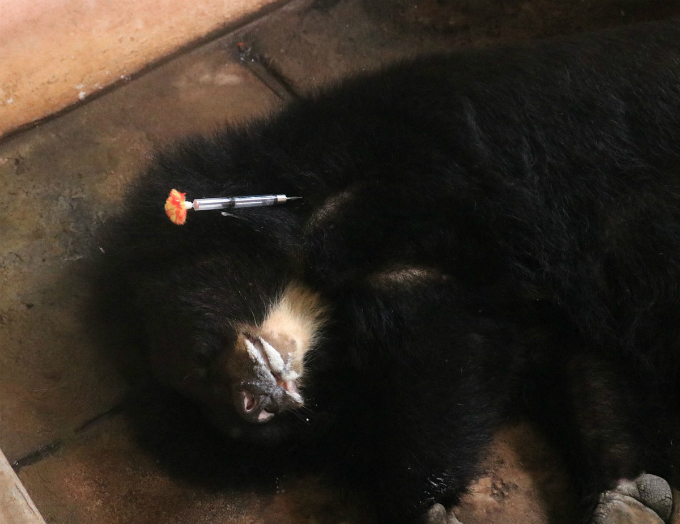 Doctors use a blowpipe to shoot a tranquilizer into one of the bears before taking it outside. 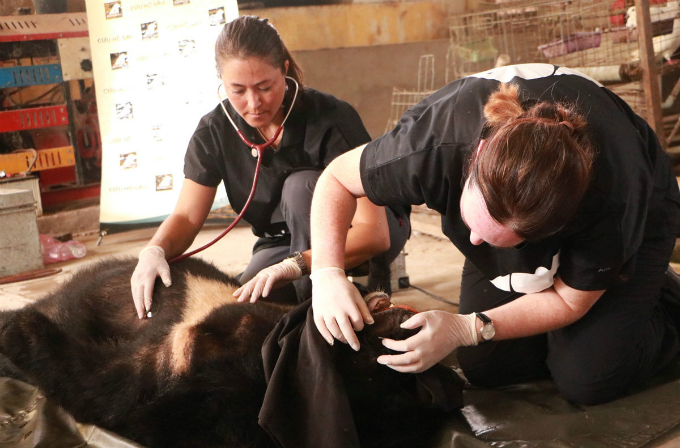 Doctors give a general health check to Kim before moving it to a bear sanctuary in northern Vinh Phuc Province. They also took blood, hair, feces, and urine samples from the animals, which were found suffering from tooth decay and arthralgia. The rescue operation lasts six hours, with volunteers struggling to carry the huge bears outside. 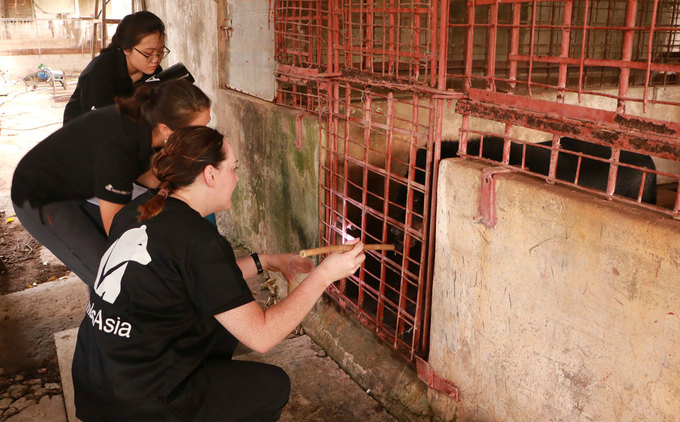 Animals Asia took them to a bear rescue center in Vinh Phuc, a two-hour drive northwest of Hanoi. There they will receive treatment and care for several weeks before being released into a semi-wild environment. The bears are put on a truck for the journey. 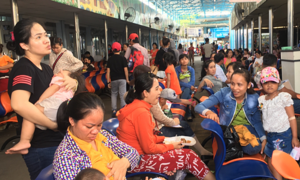 Tuan Bendixsen, Animals Asia’s Vietnam director, told VnExpress International that there are still some bear bile farm owners who have not agreed to release their bears since they consider them commercial products. 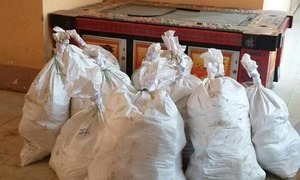 However, there have been positive signs in recent years with many others volunteering to hand over their bears to the activists, facilitating the rescue campaign, he said. The trading of bile from live bears has been declining in recent years. 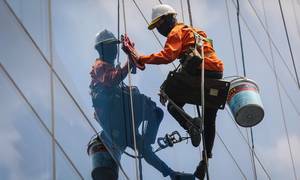 A survey by the organization last year found 90 percent of traditional doctors in Vietnam saying they do not prescribe bear bile and "No" to bear bile extraction. 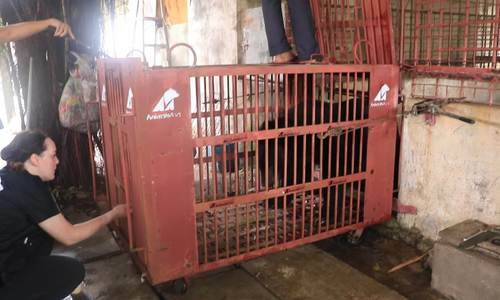 Animals Asia has rescued 177 bears from farms in Vietnam. 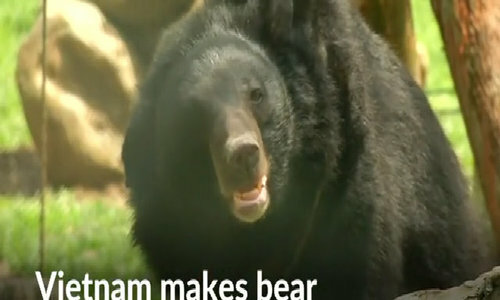 The extraction of bile from living bears is illegal in parts of Southeast Asia, including Vietnam, where it has for long been used as a remedy in traditional Chinese medicine. 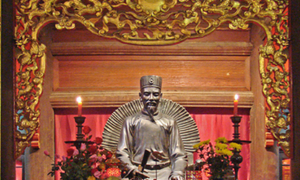 Vietnam banned commercial bear bile extraction in 2005, but more than a decade later it remains a problem. 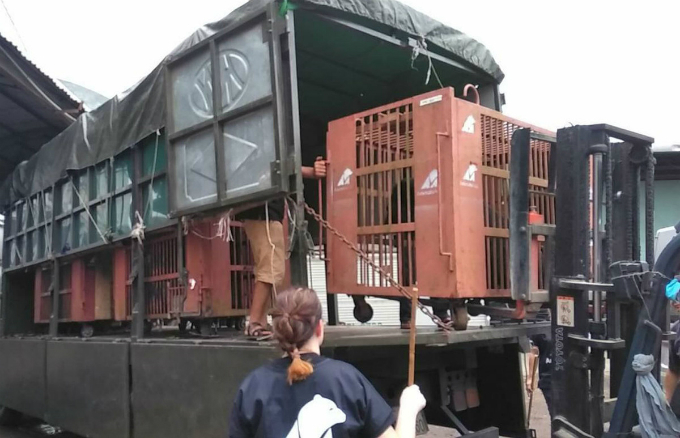 The government signed an agreement last July with animal activists to shut down all bile farms and free the remaining 1,000 bears in captivity by 2020.